Scuderi Group, Inc. Receives Three New United States Patents That Will Have a Major Impact by Reducing Greenhouse Gases During the Production of Electricity and Manufacturing of Commodities. Scuderi Group, Inc. of West Springfield, Massachusetts announced today the awarding of three (3) new United States patents by using clean energy for the power generation and commodity production industries. The methodology contained in the patents when used, will significantly reduce the amount of Carbon Dioxide (CO2) released into the atmosphere thus lowering greenhouse gas emissions. WEST SPRINGFIELD, Mass., September 19, 2017	(PressRelease.com) - Scuderi Group, Inc. of West Springfield, Massachusetts announces the awarding of three United States Patents that will be used in the alternative energy market for the production of electricity in a clean and highly-efficient manner. The patents methodology when applied will not only increase the overall efficiency of diesel, natural gas and coal-fired power plants up to 60 megawatts (MWs), but will also significantly reduce and lower the amount of carbon dioxide (CO2) that is released into the atmosphere, thus lowering greenhouse gas emissions. Born out of years of research at Southwest Research Institute (SwRI) in San Antonio, Texas, these three patents and their respective methodologies make use of thermodynamic principles for the Combined Heat & Power (CHP) industry, in the production of electricity for the grid utilizing clean energy and distributed power to strengthen the electric grid against natural disasters and cyber-attacks.. While producing electricity for the grid, the methods contained in the patent portfolio will make use of close to 100% of the waste heat for the production of numerous commodities that require heat during the manufacturing process. By setting up a distributed power grid, many of the commodities produced utilizing the patents may actually be done through a smaller, more cost-effective distributed plan with zero environmental impact as well. The use or license of these patents will enhance and maintain the company’s growth in an ever-changing clean energy market. The following patents are applicable for those who seek to carve out a competitive edge in the alternative energy market, renewable energy market and the Combined Heat & Power (CHP) market. 1) 20150322874 - POWER GENERATION SYSTEMS AND METHODS: Describes various methods of splitting generation output between the grid and a host customer load requirements. 2) 20160314544 - METHOD OF PROVIDING ELECTRIC POWER TO A HOST: Describes a business method of providing electric power and energy to a host both directly to the host and through the electric grid. 3) 62/341,029 - METHOD OF UTILIZING A COMBINED HEAT AND POWER SYSTEM TO PRODUCE ELECTRICITY FOR A WHOLESALE ELECTRICITY MARKET: Describes a method to generate power to the grid while simultaneously producing a commodity from the systems waste heat. Scuderi Group, Inc has already issued a license for these patents to a clean energy company that is currently working in the growing alternative energy market. 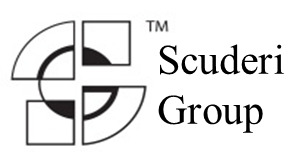 Scuderi Group, Inc. is high tech thermodynamics engineering and research company that has developed numerous products and patents in the energy field, transportation industry and energy storage industry. The European Patent Office has awarded a Power Generation Systems and Methods Patent to Scuderi Group, Inc of West Springfield, MA. The patent's methodology when applied will increase the overall efficiency of diesel and natural gas fired power plants up to 60 megawatts. It also significantly reduces and lowers the amount of Carbon Dioxide that is released, thus lowering greenhouse gas emissions. Scuderi Clean Energy, LLC (SCE) of West Springfield, MA announced today that it has formally begun phase one of its Clean Energy project known as Holyoke #1 located on Quantum Properties in Holyoke, MA. Utilizing patented methodologies, SCE produces electricity in a clean and energy efficient manner and reduces CO2 by using 100% of the waste or exhaust heat to manufacture commodities.